Welcome to Must Read, where we single out the best stories from around the automotive universe and beyond. Today we've got reports from Petrolicious, Hemmings, Automotive News, and Speed Hunters. The Isetta saved BMW after WWII. But the 700 is the car that kept them alive until this day. This is its story. 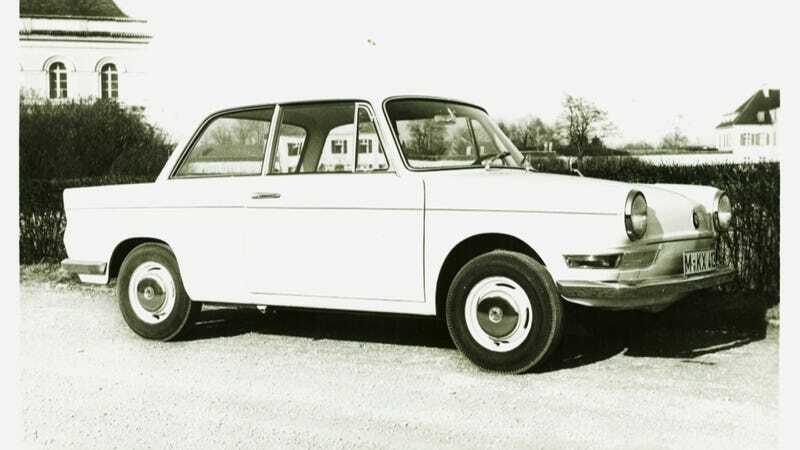 In 1957 Bayerische Motoren Werke were on the brink of insolvency. They very nearly didn’t make it. One millimetric skip away in the time/space groove there exists a place where you are you, I am me, and nearly everything is the same, but BMW doesn’t exist—there’s no such thing as a sports sedan, no M3, no M5, no driver’s limo Seven Series. There’s also no X6. Pros and cons to every situation. Fortunately for us on this side of the groove, they’re still around, 10 generations deep into making the best driving mass-market cars on the planet. Not often we get to see some antique trucks like this, cool stuff. Though better known for his work in other areas of industrial design, Norman Bel Geddes still dabbled in auto and truck design during the 1930s, advancing his ideas of a streamlined future even more futuristic than many. Another great ride from Speed Hunters. I'm an R33 GT-R man myself, but this R32 ticks all the right boxes. I’m patiently waiting, but nothing’s happening. It may have only been a few fleeting seconds, but sitting in the driver’s seat of one of New Zealand’s best BNR32 GT-R street cars, it seems like an eternity since I kicked the accelerator pedal to the floor and tightened my grip on the steering wheel. Then, like a light switch being turned on, all hell breaks loose. Nice little commentary from Autoweek's publisher, Keith Crain. I am constantly amazed by how much bureaucracy dealers face running what used to be called small businesses. I'm not sure many dealers in North America would consider their dealerships small businesses. But by some government standards, they are small.